Chapter 7 bankruptcy: Wipe out your debts. Chapter 13 bankruptcy: Save your home. At the Law Offices of Jason S. Newcombe, we help good people who have fallen on hard times. We can help you file for and successfully complete the bankruptcy process. Are you struggling to make ends meet each month? Are you tired of creditors calling you throughout the day? Stop throwing every hard earned dollar to a never-ending cycle of debt! Bankruptcy offers immediate and comprehensive relief to people who are overwhelmed by debt and see no way of paying their bills for the foreseeable future. As soon as a bankruptcy case is filed, all bill collectors must stop immediately. A bankruptcy filing stops foreclosures, repossessions, nasty phone calls, lawsuits, garnishments, license suspensions and most other kinds of debt collection. 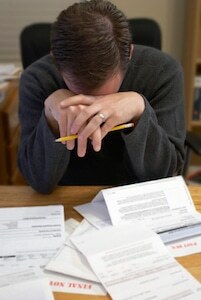 As many Washington bankruptcy attorneys will tell you, there are several forms of bankruptcy. During your first appointment, you will determine which one is the best one for your situation. Chapter 7 Bankruptcy: The first form, and most common one, is Chapter 7. If you find yourself in the situation where you are close to foreclosure on your home, Chapter 7 might be a good option for you. This form of bankruptcy enables you to discharge your consumer and unsecured debt. A Washington State bankruptcy lawyer can help you determine if this is the best option for you. In a Chapter 7 bankruptcy, if creditors receive anything it is from the sale of the debtors’ property by a bankruptcy trustee. Most people who file a Chapter 7 do not have to sell any of their property. Bankruptcy laws allow exemptions that protect property so the debtor can have an effective fresh start after the case is over. Retirement accounts are protected by exemptions. Most people do not lose their homes, cars or any personal property because they are sold to pay creditors. To keep a house or a car, a Chapter 7 debtor does have to continue making payments to the creditor though. Because Chapter 7 is an easy form of bankruptcy where creditors usually do not receive any money, it is reserved for people with lower incomes. To prove they are not abusing the bankruptcy process, people filing Chapter 7 must submit to a means test. The means test looks back six months and measures the debtor’s household income. If the debtor’s past six months of income is less than the median income for their household size, they must submit to a means test, which deducts legally defined monthly expenses to determine whether there is any money left to pay creditors. If there is money left in the means test, the case may be dismissed or converted to a Chapter 13. Chapter 13 Bankruptcy: Sometimes people find that they make too much money to qualify for Chapter 7, so Chapter 13 becomes a better-suited bankruptcy option. This form also enables you to try and keep your home and maybe even other assets that you have. If you want to learn more about Chapter 13, our knowledgeable Washington State bankruptcy lawyers can help. In a Chapter 13 bankruptcy, debtors make monthly payments to a trustee who divides those payments up to creditors according to a plan that lasts three to five years. The means test, along with future income and expenses, determine how much the creditors get paid. Some people may want to file a Chapter 13 for the added benefits that come from being in a Chapter 13 plan, such as the ability to pay back mortgage payments or to consolidate tax debt, car loans or other difficult debt in one monthly payment. In both Chapter 7 and Chapter 13, the debtor will probably only have to attend one hearing called a meeting of creditors. This hearing is held with the trustee who takes testimony under oath to verify that the information in the bankruptcy case is truthful, honest and complete. Creditors usually don’t attend this hearing. Debtor’s attorneys are present at the hearing to help the debtor through the process. Though trustees have a lot of influence in the bankruptcy court, bankruptcy judges make all the final decisions. Bankruptcy will stay on a credit report for seven to ten years. That does not mean it is impossible to get a loan for that long but the bankruptcy filing will be one piece of information lenders use in the future. Many people find their credit score actually goes up after discharge because so many bad debts are eliminated in the process. People who file bankruptcy are drowning in debt and cannot dig themselves out of it in a reasonable time frame so it should be expected that, in the long run, bankruptcy only help their credit score. Let us pre-qualify you for Chapter 7 or Chapter 13 bankruptcy protection and relief today! For more information or to set up your free evaluation, contact our Washington bankruptcy lawyers today - give yourself the gift of peace of mind!